Besides beer (cerveza), tequila is another popular yet potent liquor around Texas, especially since we live close to the South of the Border. Tequila is an alcoholic beverage made from the blue agave plant, which grows abundantly around Tequila, Mexico. Although it can be drunk straight up (neat), it is often mixed in a variety of creative cocktails. One that we tried was a “Tequila Sunrise” for today’s observation of National Tequila Day. 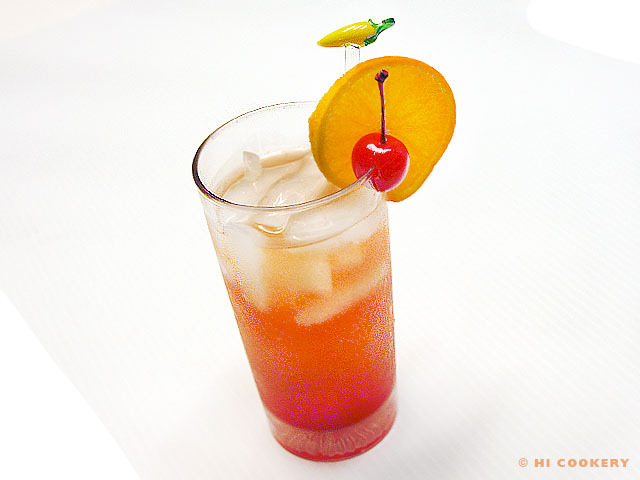 When the colors of gold tequila, orange juice and grenadine gradually mix in the glass, it looks like the sun is rising, hence, the name of this drink. ¡Salud! Place ice cubes in a highball glass. 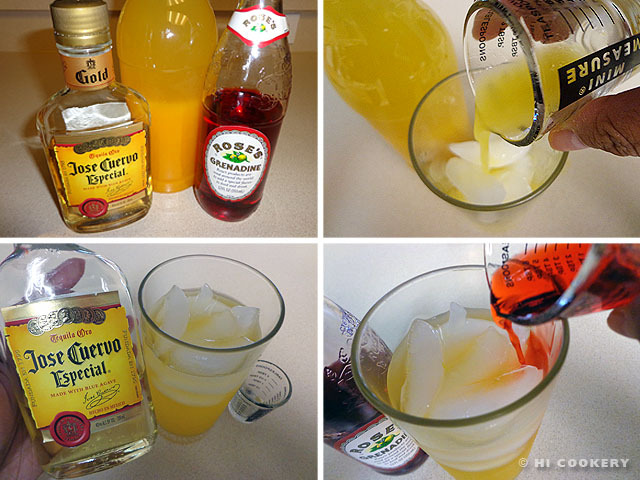 Add the orange juice, then tequila. Carefully pour the grenadine down the side of the glass without mixing. Allow the flavors to blend and the colors to create gradations. Garnish with a sliced orange and maraschino cherry. Serve immediately. “Tequila Sunrise” is also the name of a 1988 movie starring Mel Gibson, Michelle Pfeiffer and Kurt Russell as well as a 1973 song recorded by The Eagles. Thanks to Vathsala S. who got us the glass pepper stirring stick from Phoenix, Arizona, where she worked for a year and where the “Tequila Sunrise” cocktail was created at the Biltmore Hotel by bartender Gene Sulit in the 1930s or 1940s. Look for other libations in our blog by searching the recipe list.